If you've been reading this blog for a while, you know that I LOVE non-traditional wedding venues. I love it when I see a wedding in a space that is so out of left-field but turns out so beautifully, you wonder why no one thought of it sooner. Thus, I am constantly scouring the internet for new or non-traditional venues to hold a wedding. I decided to share with you seven of my favorite below-the-radar Houston wedding venues. Featuring libraries, restaurants, theaters and parks, some venues on this list will make you scratch your head, but trust me any of them would make for a beautiful wedding! I plan to feature seven venues for Dallas, Austin, and San Antonio as well in the near future. For all of my Dallas, Austin and San Antonio readers, please drop me a comment or send me a message with some of your favorite below-the-radar venues. The Clayton House is a three story brick Georgian style house built in 1917 and designed by Birdsall P. Briscoe. The house was the home of Houston businessman and statesman William Lockhart Clayton and his wife Susan Ada Vaughn Clayton until 1958, when it was deeded to the City of Houston to be used for library purposes. The public can rent out the house for private events. 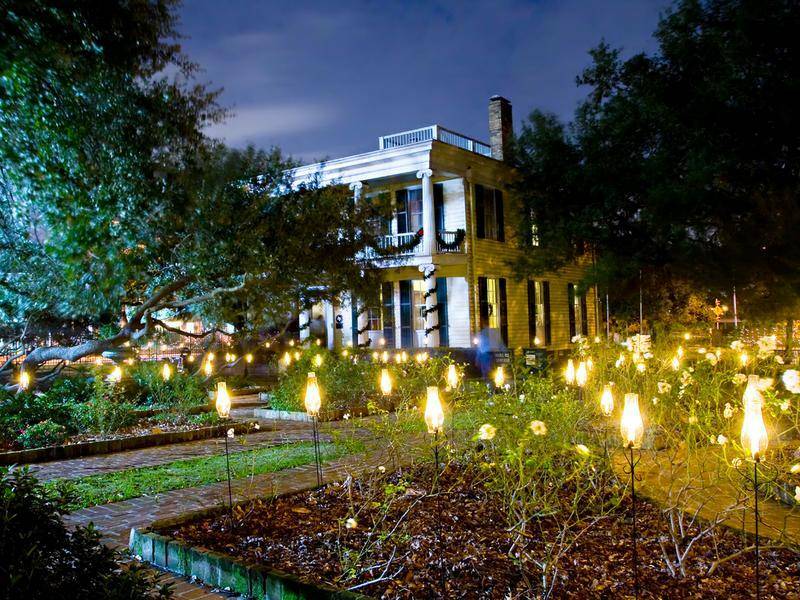 With its central Museum district location and well-manicured grounds, the Clayton House would be ideal for an outdoor wedding. Centrally located in the prestigious Galleria area, the Wynden is one of Houston's most unique venues. 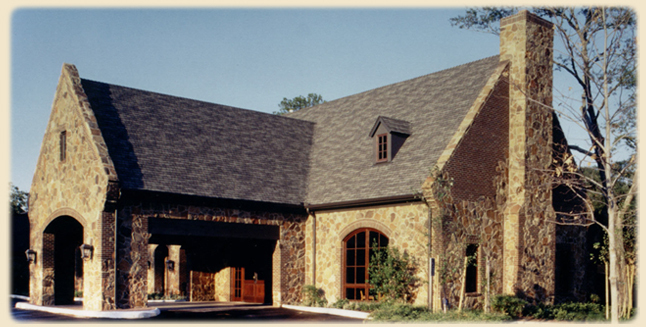 Formerly Masraff's on Post Oak Lane, the Wynden can accommodate over 250 guests for seated dinners and buffets. 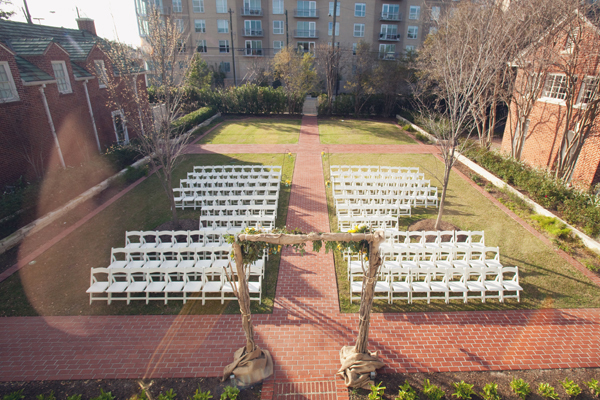 Plus, it boasts an outdoor ceremony option with a private wedding gazebo and water feature. Don't laugh-it's true! 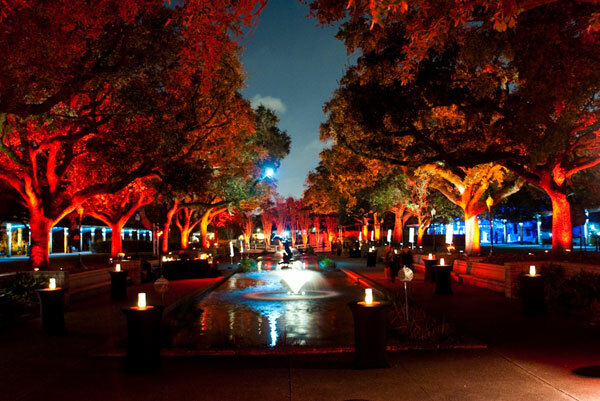 The Houston Zoo maintains some of the best venues in the city. Specifically, the Reflection Pool is one of the most magnificent settings in the zoo. It's elegant and romantic setting makes for an unforgettable wedding as you say your vows at the top of steps while standing under 50 year-old arching oak trees. This backdrop makes for the perfect place to get married! The Heritage Society is the custodian of some of the city's oldest structures. This unusual outdoor facility in Houston's first public park is available for weddings, receptions, cocktail parties, seated dinners, or other special events. Connally Plaza can be easily tented or left open and will accommodate a very large crowd. The Museum Gallery and Tea Room offer beautiful photographs, paintings, and other decorative arts for your guests' viewing pleasure. St. John Church provides an unforgettable location for an intimate wedding ceremony. A backdrop of downtown Houston's skyscrapers set against Sam Houston Park is impressive and unique. While the Houston Ballet and the Houston Symphony may call this building home, it also happens to boast one of the greatest event spaces in the city. 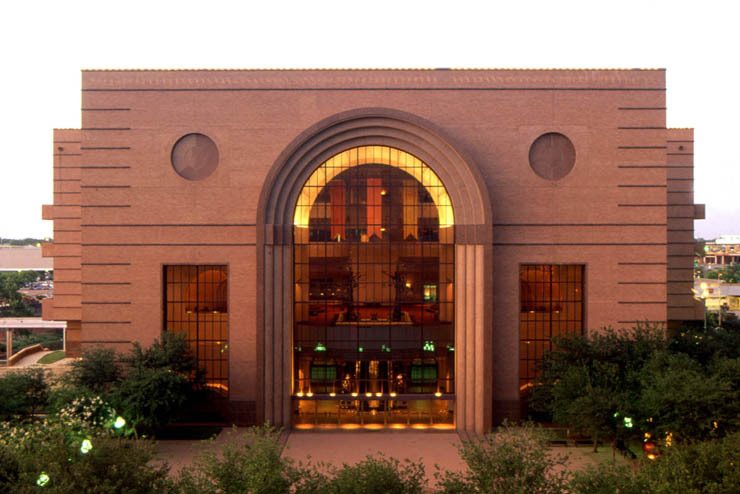 The Grand Lobby of the Wortham Center is truly "grand" with its sky-high ceilings and enormous windows. The Grand Lobby hosts banquets and galas year-round and could be the site of your wedding. 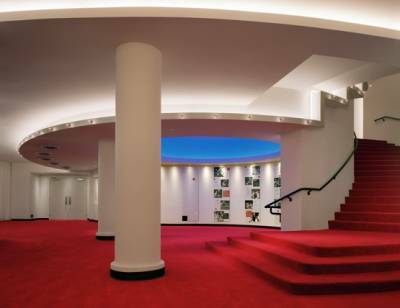 Whether you are looking to have an intimate wedding or one for over 200, the Alley Theatre has several meeting and function rooms, unique lobby spaces and two theatres that can accommodate you. 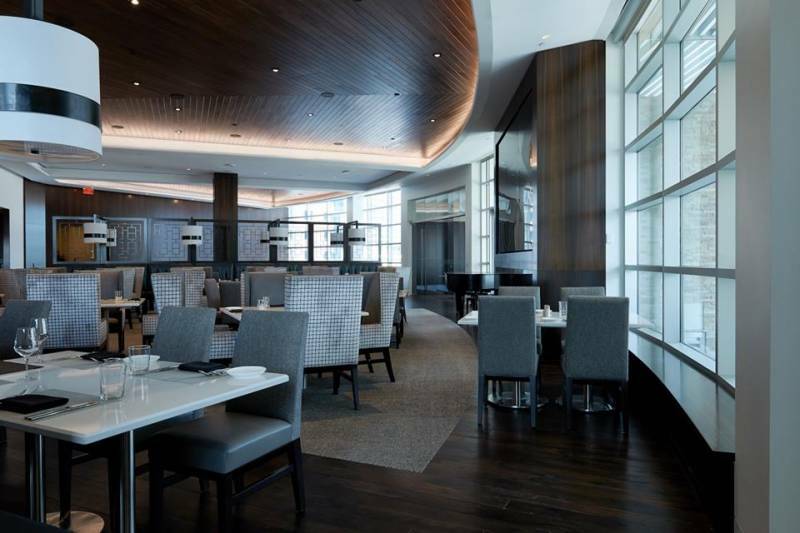 Third Coast, the spectacular restaurant atop the John P. McGovern Texas Medical Center Commons Building in the heart of the Texas Medical Center, complete with two mesmerizing sixty-four foot exterior waterfalls, provides a wonderful backdrop for your next special event. 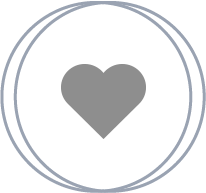 Third Coast's private dining rooms and conference center can accommodate functions of all sizes and descriptions, for groups of five to 500. The restaurant boasts seven private dining rooms, including two glass-enclosed areas located in the main dining room.